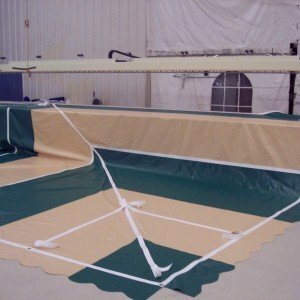 When it come to a tent manufacturer, Infinity Tent Sales takes great pride in making sure the tent is quality made. We take the time to do things right and we put that philosophy into every tent we make. We make high quality tents that will last for years because we understand what your customers expect. With over 30 years of tent manufacturing experience, and with our party rental experience, we have learned where the stress and failure points are on the tent and we make them strong. 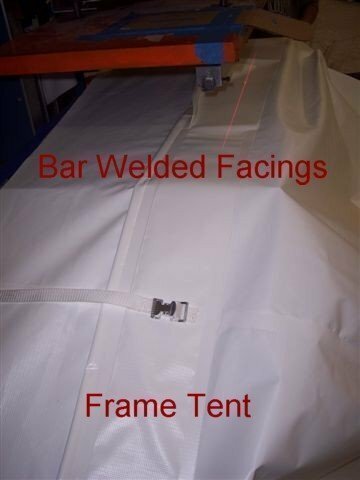 Our facing & straps on the frame tents are double ply vinyl with 2 in. webbing and triple layered sewn 1 in. webbing, making it the strongest on the market. Out tent will last years, 10-20 when maintained, not 2-5 years like some of our competitors that sell for cheaper. Once you see our product, the quality, and the price, we know you will be a satisfied customer. 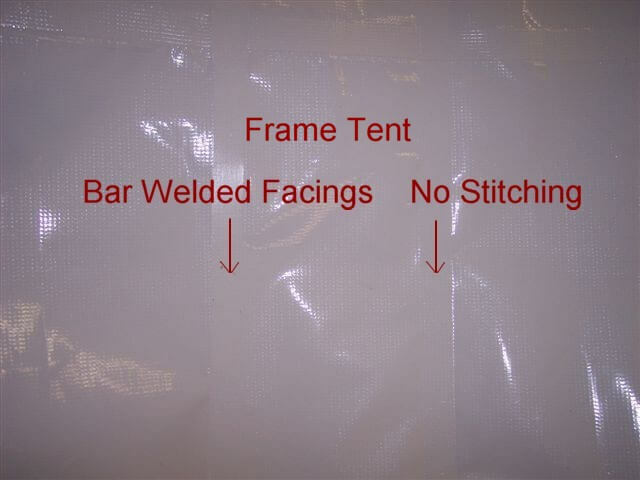 Look at the top of a frame tent, there is no sewing, no sew holes, no thread. Just a clean, smooth, strong bar welded surface. On the inside of a frame tent, we sew the straps to a piece of material, then heat sealed to the tent top. No sewing, no holes. 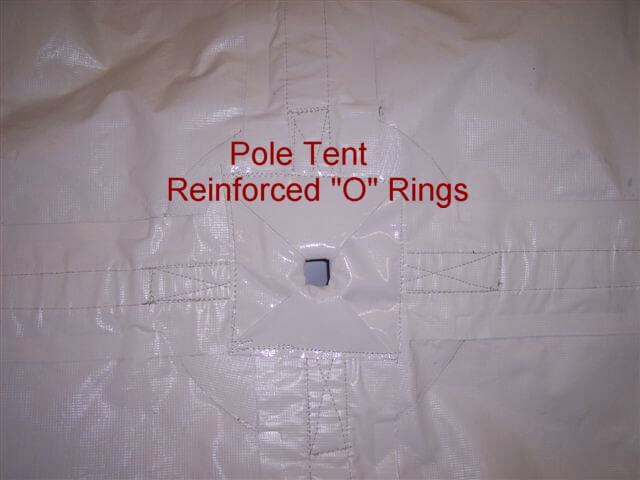 Reinforced "O" Rings on our pole tents. 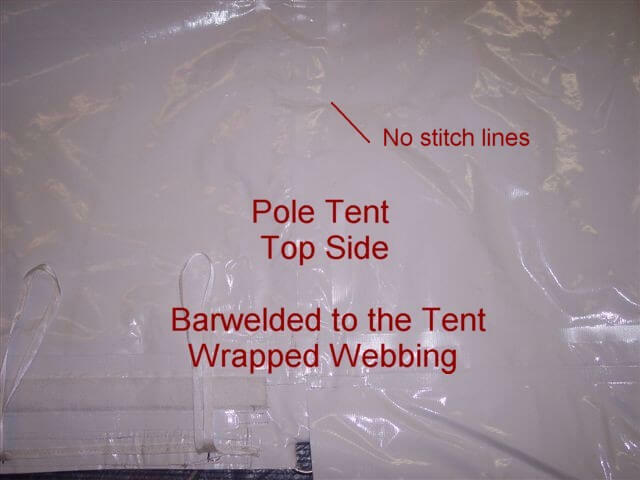 On the inside of the pole tent, we use 2" weldable webbing, that is heatsealed to the tent top. Good, Clean & Strong.